Book now: Highest Point festival at Williamson Park ft. Sister Sledge​. 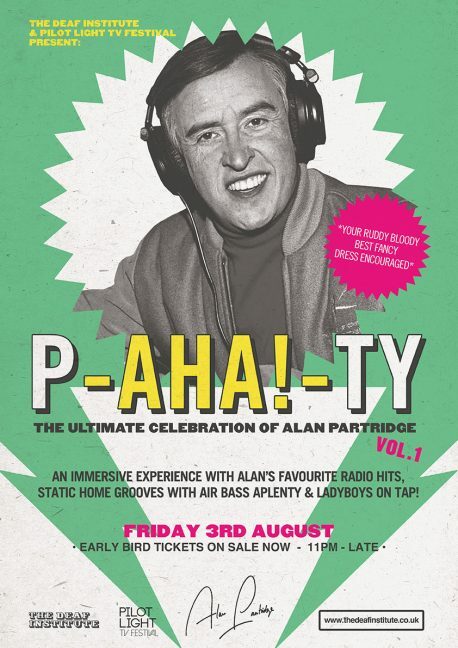 Book tickets: Alan Partridge P-Aha!-ty at Deaf Institute. Following on from the success of their two Flight of the Conchords nights, Pilot Light and The Deaf Institute are turning their gaze to another music obsessed cult sitcom with an Alan Partridge. They’re planning a ruddy lovely party featuring music from the show, snippets and a liberal helping of Abba no doubt with fancy dress a must. So re-assemble your corby trouser press, don your smartest Castrol GTX jacket and grab the nearest air bass for a night of music inspired by Norwich’s most famous son.